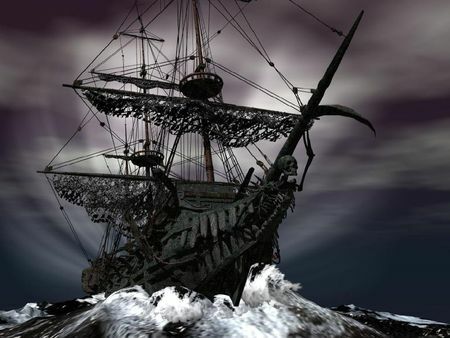 Most of you are probably familiar with the 250-year-old legend of the Flying Dutchman, the ghost ship doomed to forever sail the seas, never making port; never sought after but still unexpectedly seen. That’s what my Bug is evidently doomed to be at this VW dealers. Just when he thinks he’s seen the last of it, Kevin, the service manager, will look out of his glass-enclosed office and see the specter of a grey New Beetle with a black rag top, and he’ll know that whatever his staff does to fix it, it will be back with the same problem. Yep; the car shut off on Patty as she drove it home from work tonight. This time, it didn’t seem to lose power totally when it shut off, so that’s, I suppose, some sort of improvement. So it’s back to the dealer tomorrow to see what they can divine. Stay tuned!